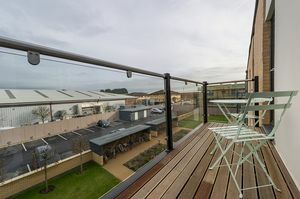 Latimer House is a stunning collection of 44 one and two bedroom apartments situated within the unique Latimer Place development in Thame, Oxfordshire. 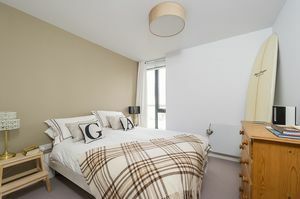 The accommodation within each apartment is finished to a high specification, with a contemporary style. 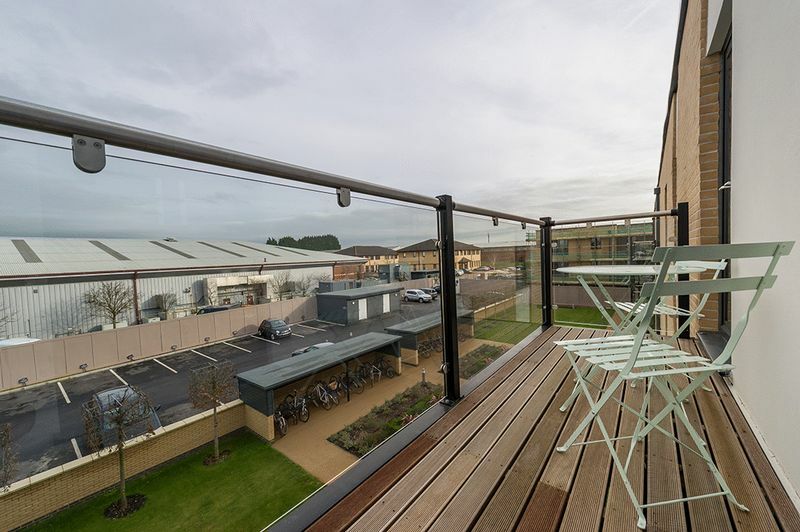 Just 14 miles east of the city of Oxford, Thame offers excellent road and rail transport links, being close to the M40 and just a 40 minute train journey from London. 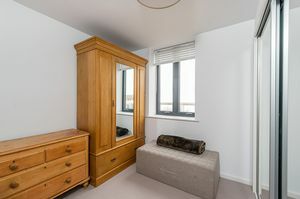 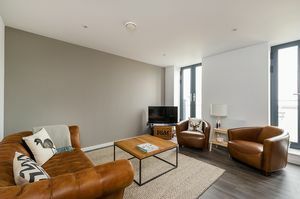 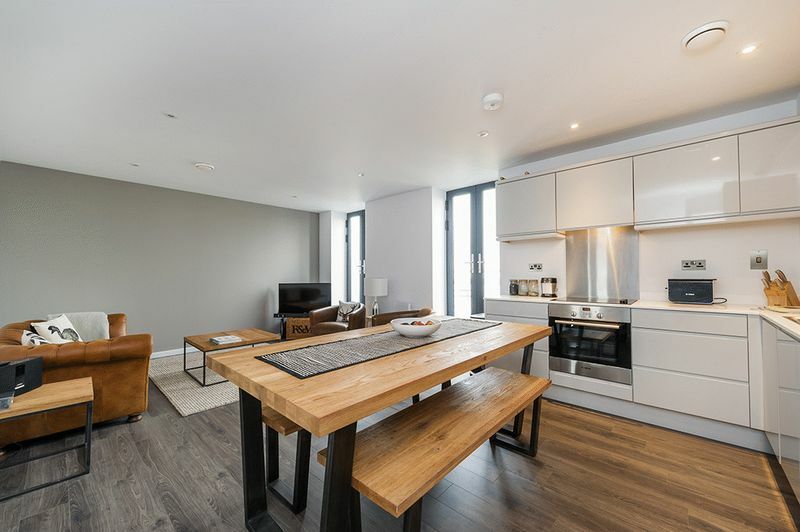 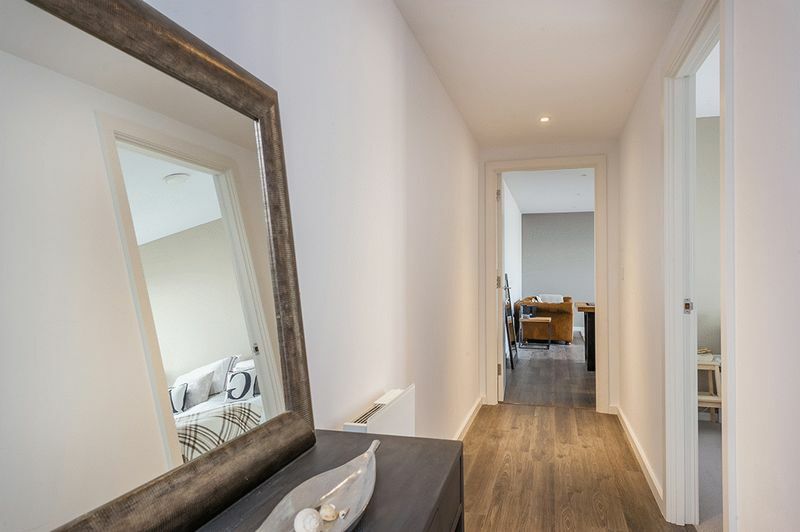 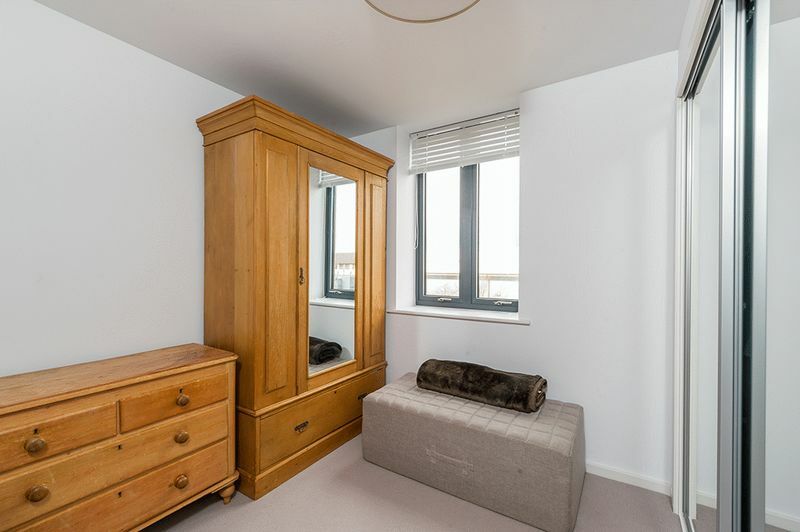 Latimer House is a sleek second floor apartment and provides two generous bedrooms, including a master bedroom with a range of fitted mirrored wardrobes. 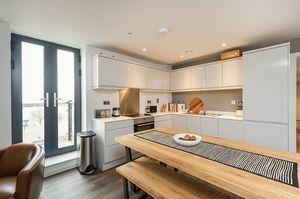 Of particular note is the modern open plan kitchen/living room fitted with a range of base and eye level cupboard and drawer units and finished in a fresh light grey high gloss. 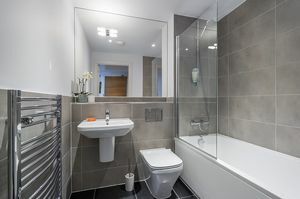 The work surface is Artis smartstone and provides a very generous preparation area. 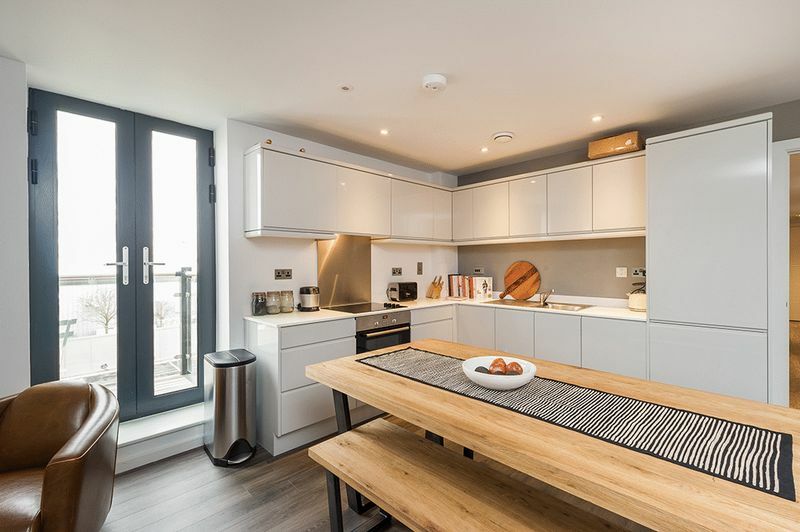 A range of Bosch appliances are fitted and include an electric oven, hob and extractor hood, dishwasher, fridge/freezer and washer/dryer. 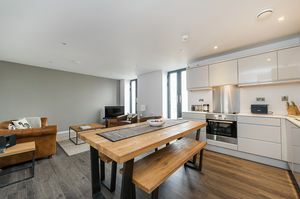 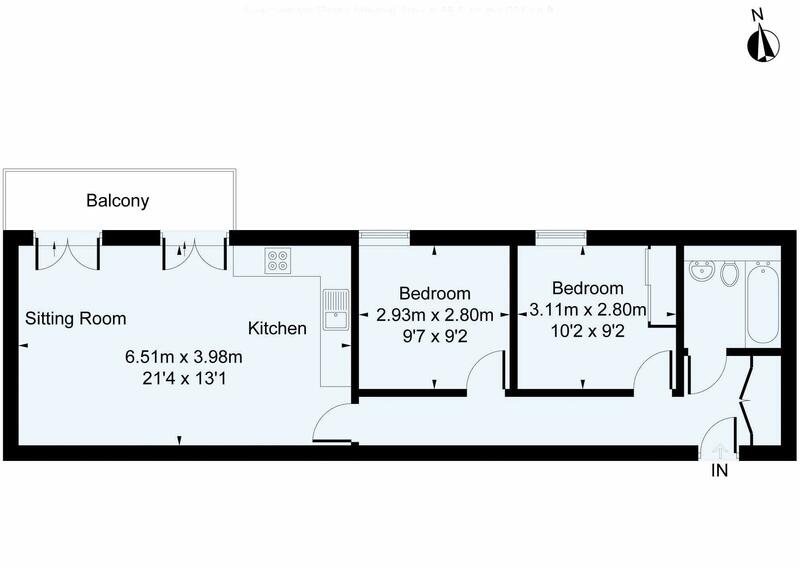 The living room extends from the kitchen and has two sets of full height double doors leading to a large private balcony. The room is fitted with an Elka V-Groove laminate floor that also extends into the kitchen and entrance hall. 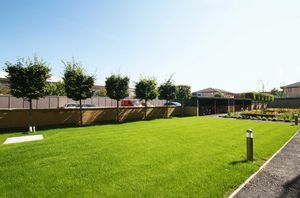 Outside, ample visitors parking is located to the front of the development. 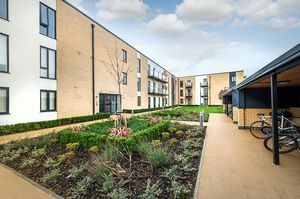 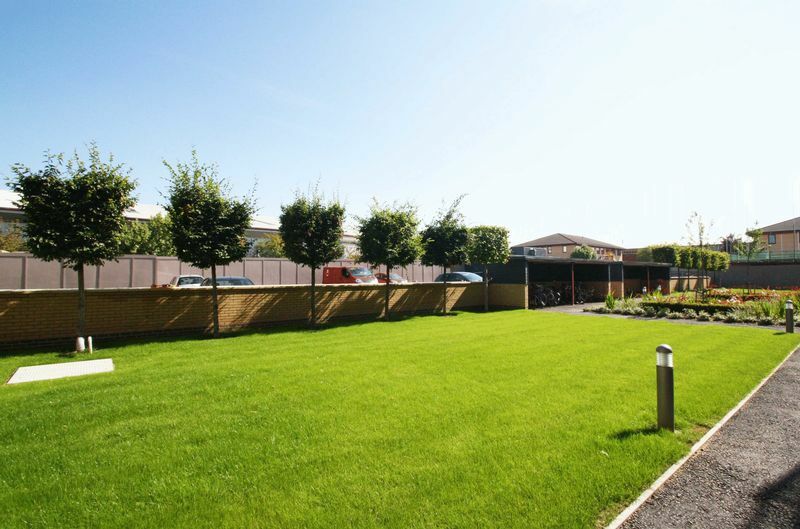 To the rear of the development, you will find two designated private parking spaces, communal gardens (laid predominately to lawn with flower and shrub borders), a communal bin store and cycle shed.